Protrate perennial much branched herb. Creeps by producing roots along trailing stems (stoloniferous). 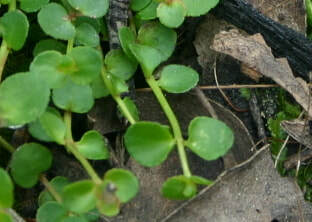 Leaves are in opposite pairs, egg shaped to circular with rounded base up to 15 mm long.Edges are toothed with many small rounded teeth and very short stem. 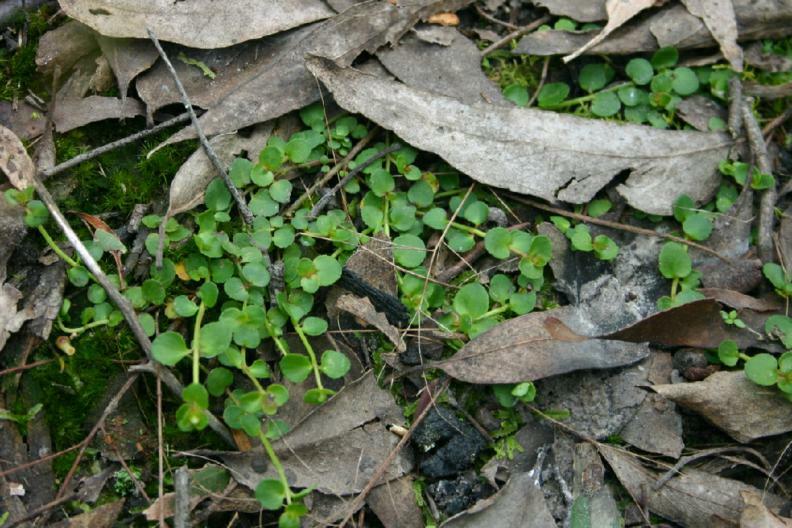 Naturally occurring plants in moist to wet soils. Semi-shade.